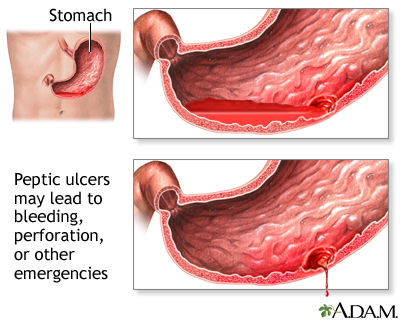 An ulcer is a crater-like lesion on the skin or mucous membrane caused by an inflammatory, infectious, or malignant condition. 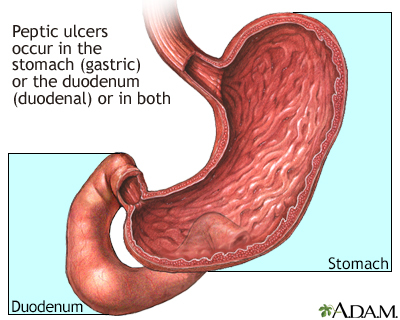 To avoid irritating an ulcer a person can try eliminating certain substances from their diet such as caffeine, alcohol, aspirin, and avoid smoking. 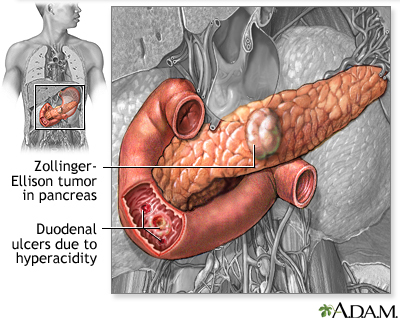 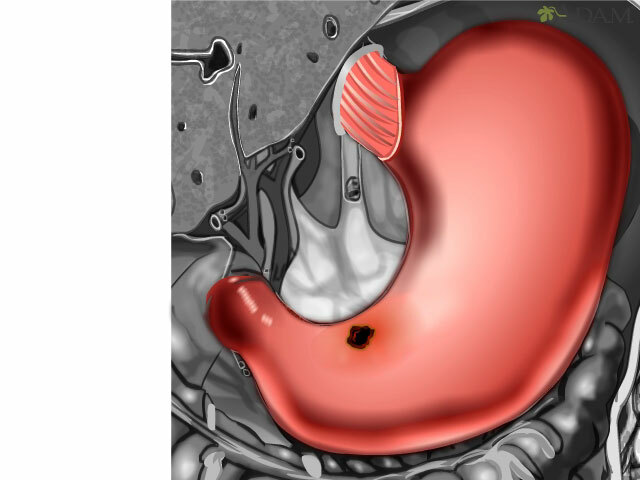 Patients can take certain medicines to suppress the acid in the stomach causing the the erosion of the stomach lining. 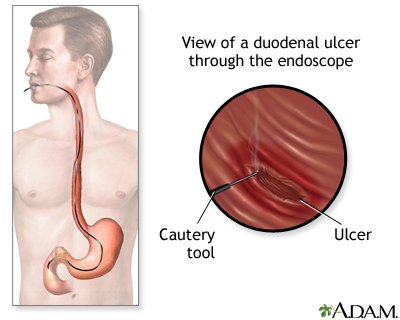 Endoscopic therapy can be used to stop bleeding from the ulcer.